Just because I have some bikini goals, well it doesn’t mean I have to miss out on some treats! With the help of my KitchenAid, I have reinvented my very favourite Cheese Pizza! Although this still doesn't quite meet my Macro's, It is ideal for when those cravings kick in and I want pizza pizza pizza. 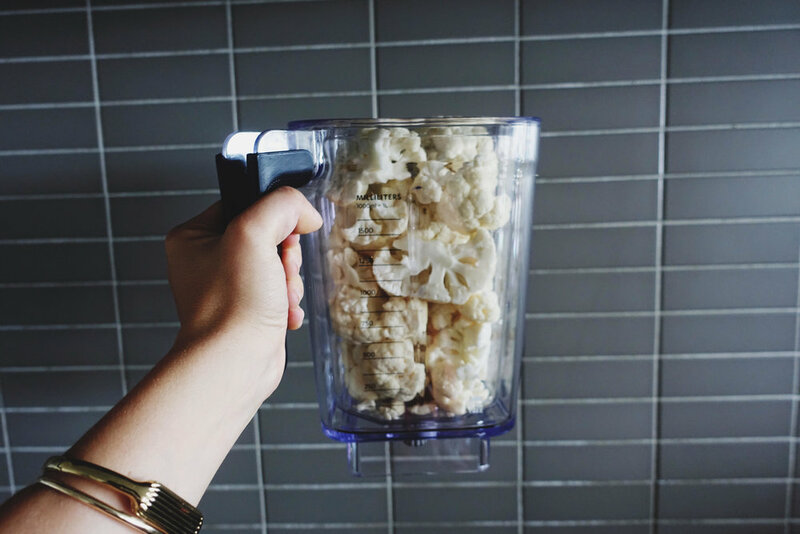 Last time I made this my blender struggled with breaking the cauliflower down so this time I brought in the big guns, my new KitchenAid and it worked a treat. Preheat the oven to 180 degrees. Line a baking sheet with baking paper. In a bowl, combine the cauliflower with the mozzarella, Parmesan, oregano, salt, garlic powder and eggs. Transfer to the centre of the baking sheet and spread into a circle, resembling a pizza crust.